In Melbourne, jewellery valuations may be required for a number of reasons, the most common being for insurance purposes. Other reasons may include a private sale or just for personal interest.  At GN Jewellers, our expert appraisers can examine your jewellery and provide a written valuation – this can act as a legal document for insurance purposes. As part of the process, our team will take digital photographs, note all distinguishing features, and write a full description of each item.